"As amazing as 3-D printing is, in many cases it only offers one color with which to paint," says UW-Madison Professor of Chemistry A.J. Boydston, who led the recent work with his graduate student Johanna Schwartz. "The field needs a full color palette." "This is a shift in how we think about 3-D printing with multiple types of materials in one object," Boydston says. "This is more of a bottom-up chemist's approach, from molecules to networks." 3-D printing is the process of making solid three-dimensional objects from a digital file by successively adding thin layers of material on top of previous layers. 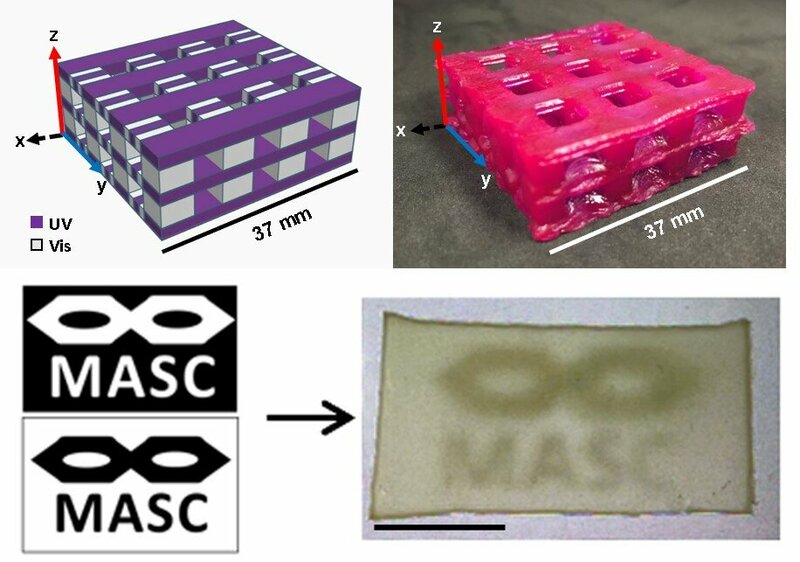 Most multi-material 3-D printing methods use separate reservoirs of materials to get different materials in the right positions.